Clover® Mini page Call today for your free Clover® Mini demo! 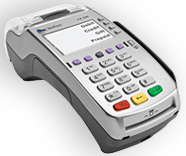 Cost Credit Avoid credit card fees and remain compliant by using this machine! Clover® Station Save big with the best value POS available! Pax S300 Call today for your free PC America or Aldelo EMV integration! The best credit card processing service is one designed with your unique business needs in mind. That's why our card processing solutions are secure, scalable, fast & easy to use. Save Big by Switching to Us! With all of today's payment solutions available to consumers, having the wrong processing plan is simply not an option. "Tom and his team have enabled us to take our business to a different level. They are reliable, helpful and responsive at any time. Thanks so much guys!" "Their POS system saves me money and time every month. I am really happy with their knowledgable and supportive team." "The wireless credit card terminals Scott and his staff have provided us throughout the years are just the right equipment needed to run our business smooth." "From providing customized Gift cards to installing a POS system in our new restaurant, Nationwide is always there to help us with our payment processing needs." "Switching to Nationwide Merchant Solutions helped me to save a lot of money and keeps my business secure so I don't have to worry." Call today to speak to a consultant about an easy way to accept Litecoin at your business! 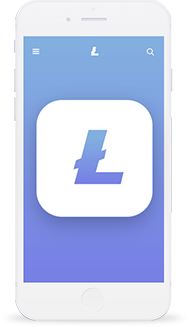 Litecoin payments offer low fees and high security and contain no risk of chargeback. In the world of cryptocurrency a ‘wallet’ refers to a digital store of coins. These wallets exist as part of a cryptocurrency’s blockchain and their balance and transaction data is stored and updated as the blockchain grows. Accept credit card payments, PayPal, Bitcoin and Litecoin in one easy checkout. The fastest way to convert Litecoin and Bitcoin Payments into US Dollar. Using the best merchant account services for your business enables you to cater to your customers' preferred forms of payment and capture every possible sale. Let us find the right merchant services for you today! Automated Clearing House or ACH payment processing is an electronic network that processes large volumes of both debit and credit transactions. Learn More..
Are you paying too much for credit card processing? See how our innovative credit card processing solutions can help you save money. Learn More..
Nobody knows Point of Sale systems like we do. Let us show you the magic of what POS systems & equipment can do for your business. Learn More.. There's more to mobile payments than just making wireless payments. Get the most out of this merchant service by partnering us! Learn More..
We support all the top online gateways in the market. Let online gateways simplify your business operations and help you increase sales today. Learn More..
Want to receive payment anywhere &amp; anytime? Our portable credit card terminals give you the ultimate payment solutions on the go. Learn More..